For the 27th year in a row, a World Series will not be hosted in side the walls of Chavez Ravine. 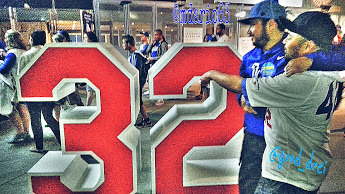 To any Dodger fan born after 1988, keep your heads up, your day of glory will come eventually. While 3 consecutive post-season appearances is no small feat, the fact of the matter is whether Don Mattingly should stay or go. As said above, 3 consecutive post-season appearances is definitely no small feat. Managerial post-season failure is nothing new in any sport. Bobby Cox, who guided the Braves at 14 consecutive division titles, was the winner of only one World Series title during that span. With high expectations and a payroll of over $300 million, just making the playoffs is anything short of success to the eyes of many. Mattingly has also come under criticism for not fielding a consistent lineup as well. To management’s credit, the Dodgers have not made a quick knee-jerk reaction as for the fate of Donnie Baseball. It’s easy to act upon emotion. The loss to the Mets still hurts. Does Mattingly deserve all the blame ? The answer here ? No. Every manager gets second guessed. Mattingly, in spite of his $300 million roster, went as far as he did for what he had to work with. The Mets, one game away from a World Series appearance, are peaking at the right time anchored by their outstanding pitching, something that came under scrutiny when not talking about pitchers not named Zack or Clayton. Well, you know the rest. The Dodgers we’re a team that scored a bulk of their runs via the long ball. If they we’rent goin’ yard, they often found themselves struggling. During the 5 games against the Mets, only 2 home runs we’re hit by the Blue, both coming late in Game 3 with the game out of hand. The inability to drive in runs without the aid of the long ball would definitely prove costly in Game 5. So we didn’t have that deep October run, Kid ! Viejo Dre says hang in there, your day will come. 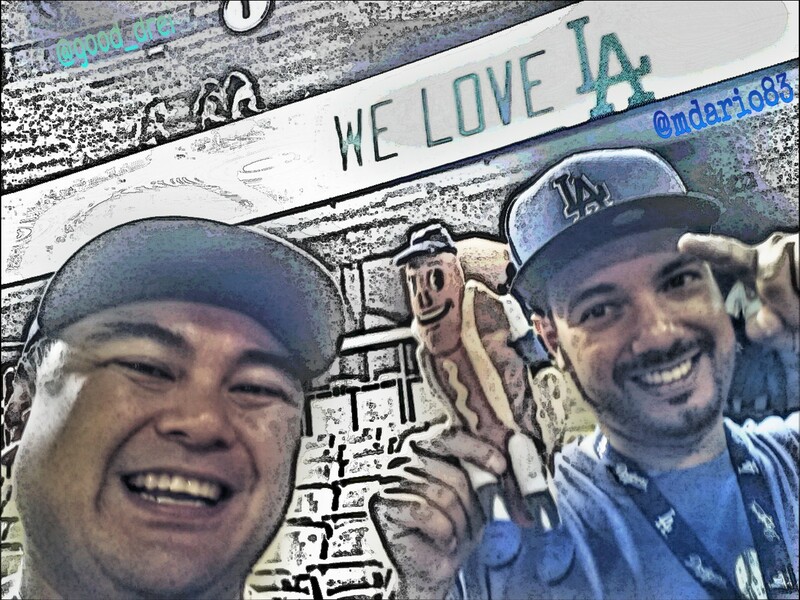 No Matter… through good and bad…WE LOVE L.A. !!! Hey, just because the season’s over, don’t mean Kid N Drei have an off-season. 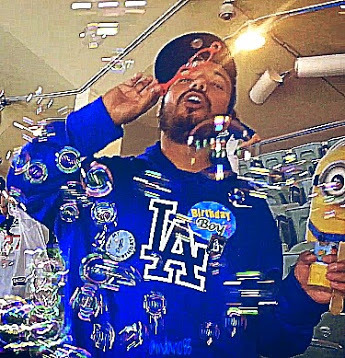 We may not be heard from much, but hey, we’ll still continue to keep you posted on any antics we may have, as well as some occasional beats form Kid Marley Marlz. 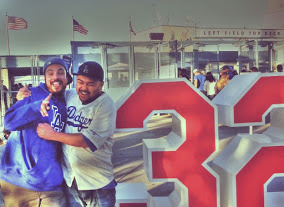 In the meantime, check out all our fun and kid-like moments from the stands and beyond from this past 2015 season in a series we call, The Ravine Life. It was another fun season folks. 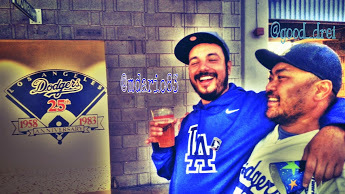 Forever Dodger Blue !!! 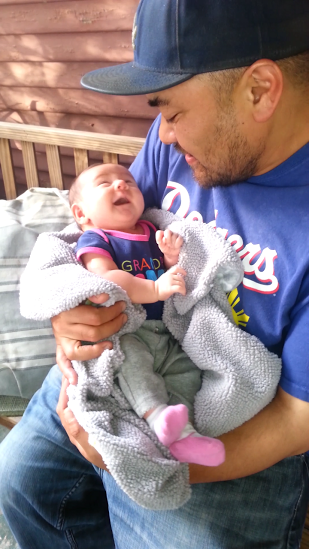 They don’t call me DodgerDrei for no reason, for DodgerDrei is always happy to spend some quality time with his newborn niece Toia. After all, it’s always good to start ’em young, right ? 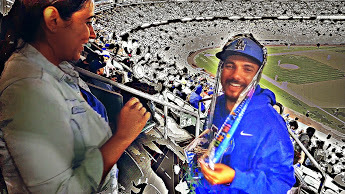 The Birthday Boy… The Kid At Heart…KID MARLY MARLZ !!! 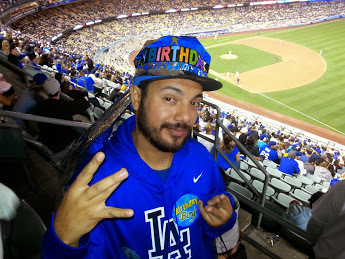 What could possibly be a better place to celebrate a birthday than at Chavez Ravine ? Especially against the hated ones ? 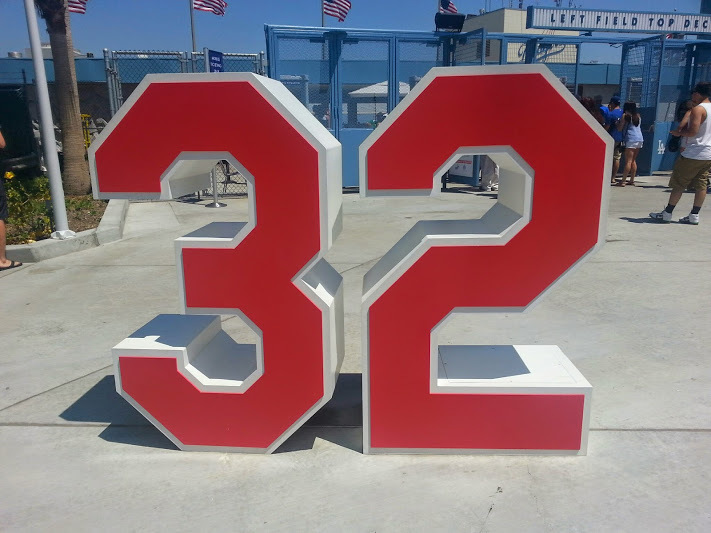 The night would start and end on top of The Ravine by the number 32, the number once worn by Dodger legend Sandy Koufax . 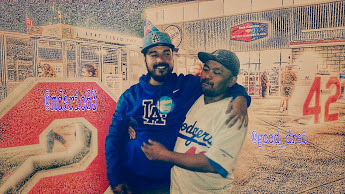 The idea of doing a Dodger themed birthday based around a retired number was actually suggested to me by another buddy of mine. With Kid Marlz about to turn the Big 3-2, with Kid Marlz being, well… you’ll see why he’s called Kid Marlz, and with the hated one’s from up north in town, what other way could a Kid, even this Big Kid, celebrate his birthday ? It’s always great that even the Magic Castle up on Chavez Ravine ( What Magic Castle did you all think I was talking about ? ) is one where, here goes, a Kid…..This Kid….. The heck, KIDS OF ALL AGES …A Kid Can Be a Kid.. Kid N Drei, or My Chemical Bromance ? 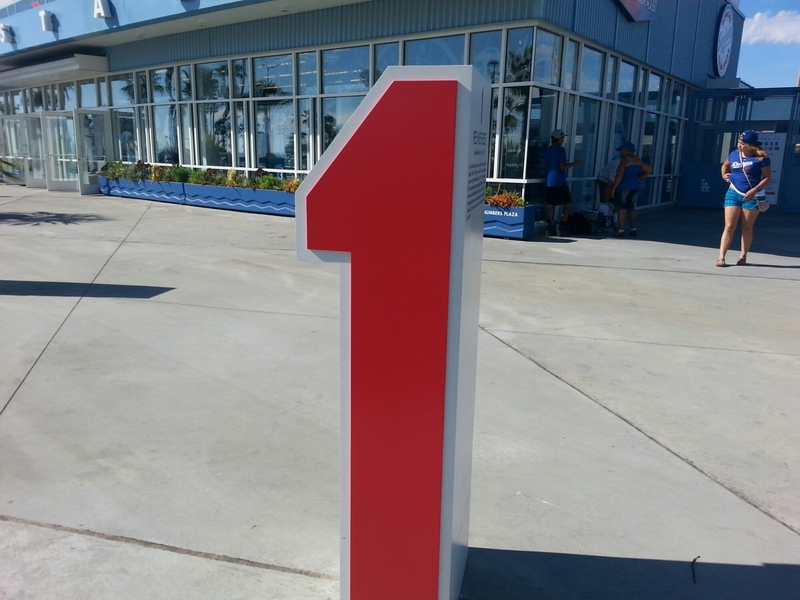 Uh, I think we’ll stick with Kid N Drei…Hey Kid, the big 3-2 is coming soon kid !!! 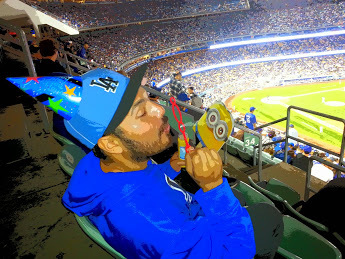 After starting off the night at the Big 3-2, we make our way inside The Ravine with Kid Marly Marlz and friends, including his mascot buddies. 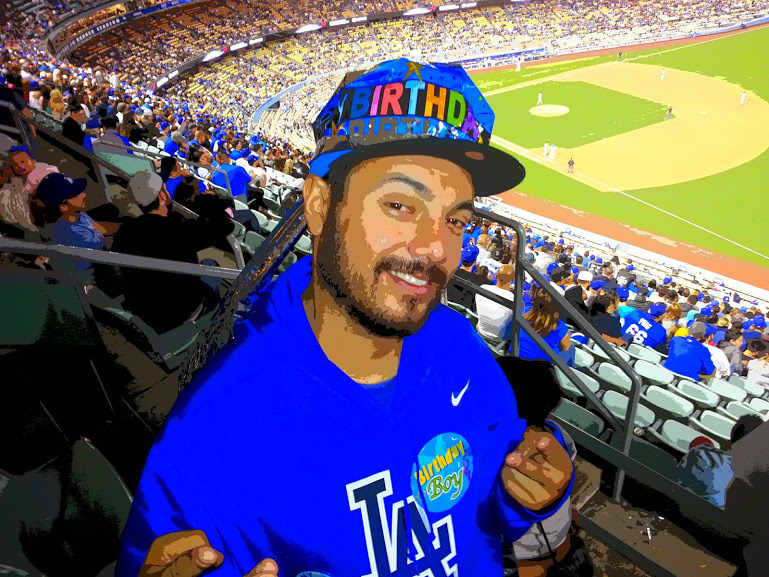 As for a retired number Dodger theme for Drei, Double D here has two more numbers left to look forward to ( I’ll let you all guess which numbers and yes, Double D ‘s age is up there…) So, how does a ” Kid ” celebrate his birthday at that Magic Castle we call…Chavez Ravine ? A win over the hated ones always does make a great birthday gift, right Kid ? Even if you are and will always be… FOREVER A KID…KID AT HEART…Drei can’t believe you’ll be turning the BiG 3-2….